Donna Zaj is currently living in Clinton Township, Michigan, working as an Owner/Certified Trainer in "Dogzone Training & Activity Center" and is interested in Agriculture & Farming. 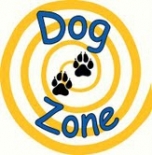 Certified train in all aspects of dog obedience, Owner of Dog Zone Training and Activity Center. This profile is owned by Donna Zaj. Send a message to this person to delete this profile.